Finn Balor's return, along with a number of other NXT superstars being called up to the main roster, could signal a change for WWE. A current look atop WWE.com’s roster page – which is bannered by images of Universal Champion Brock Lesnar, WWE Champion Randy Orton and Raw Tag Team Champions the Hardy Boyz – conjures a couple of feelings. One is that post-“Broken” Matt Hardy’s goofy smile’s awfully hard to square with the versions (2.0 and otherwise) we’d watched soar on Monday nights years ago. The other, not entirely unrelated, sensation is that, despite a surge of new and young talent from NXT and outside promotions, it is in fact 2003 in WWE land. The sight of half-centurion Bill Goldberg hoisting the heavyweight title overhead previous to Lesnar didn’t exactly help orient our inner clocks. So which era are we in, really? Is 2017 a turning point in Triple H’s homegrown, relatively youthful movement? Or is the company slow to divest of its stake in big-name veterans who provide profitable cover while upstarts weed each other out from week to week? Watching Raw and SmackDown these days, especially amid the flurry of debuts that always ensues after WrestleMania, can resemble sitting through a real-time reality competition airing parallel to its road-tested parent program. And along with the integration of cruiserweight talent, it’s becoming evident that Raw’s expansion to three hours was at least somewhat designed with this kind of ultra-linear presentation in mind. We’ll have to wait and witness Vince McMahon’s upcoming “roster shakeup” before presuming how some of the overflow may get resettled on Tuesdays, but both shows’ locker rooms are at risk of overcrowding. Not only is Finn Bálor back and ready to stomp out Samoa Joe on Raw, The Revival made their mark earlier that evening by serving notice to The New Day. But the biggest entrance was saved for SmackDown, when Shinsuke Nakamura symbolically swept traditions aside in moving Miz off the mat. Plus, Tye Dillinger helped himself to a heaping pile of Curt Hawkins to start 1-0. Hawkins has had his chances over the years, but this all sends a pretty clear message to hotshot NXT call-ups and indie recruits from the recent past who’ve been trying to find themselves: It’s now or never. The Vaudevillains, for one, need to demonstrate they can convincingly portray a threat to SmackDown incumbents The Usos before American Alpha’s called on for another vanilla run as star-spangled strap holders or Bray Wyatt’s beckoned to carry the tag division again. The “Lone Wolf” Baron Corbin went over like gangbusters in his street fight with Dean Ambrose this week, but has to hold our attention long after we’ve crashed from our Mania high. 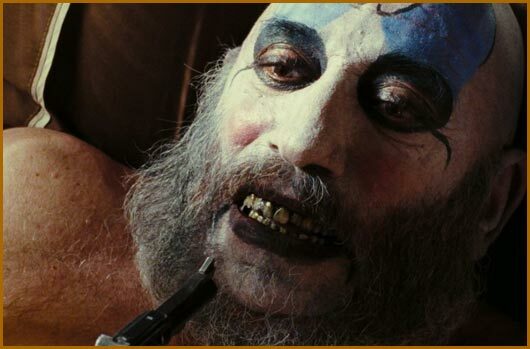 Over on Raw, for The Ascension to outpace The Revival and make old-timers like The Hardys obsolete, it’ll require something more inspired than Konnor getting made up like Captain Spaulding. For that matter, Enzo and Big Cass better find something deeper in the well than call-and-response chemistry with the fans and cross-promotional gamesmanship. Enzo’s prospects in particular do not bode well should the moment arrive to let Cass roam wild as a main-event giant. And speaking of brutes, let’s not overlook Rusev, a farm-system guy in his own right, and who’s one identity crisis away from needing time back in the minors to rehabilitate. The women, by the way, might want to watch their backs now that Emma’s returned as she belongs and Asuka’s breathing down everyone’s necks. Nia Jax and Alexa Bliss, among others, definitely received the memo, but Carmella and Dana Brooke have plenty to prove. All of this bodes well for fans, which is the idea. And the competitive transparency more closely resembles not only the personnel maneuverings within major pro-sports organizations, but everyday workplace life. It’s also in keeping with broader cultural shifts – think about the ephemeral nature of pop-music chart-toppers compared to how artists were groomed in the ’70s, ’80s and ’90s – and perhaps a reaction to WWE’s own mixed results this decade overly finessing their passion projects (though Roman Reigns will one day earn his redemption). The consequence, a la the flipside for scrappy bands or fledgling TV pilots, is that gradually developing stars might be prematurely jettisoned somewhere far-flung, and only then find the room to grow. At which point, WWE will simply sign them back and say you’re welcome to that other territory for the rub. Maybe much hasn’t changed after all.